Thorpe Park has a NEW ride photography option, known as The Digipass, that allows you to pick up unlimited digital downloads during your visit. 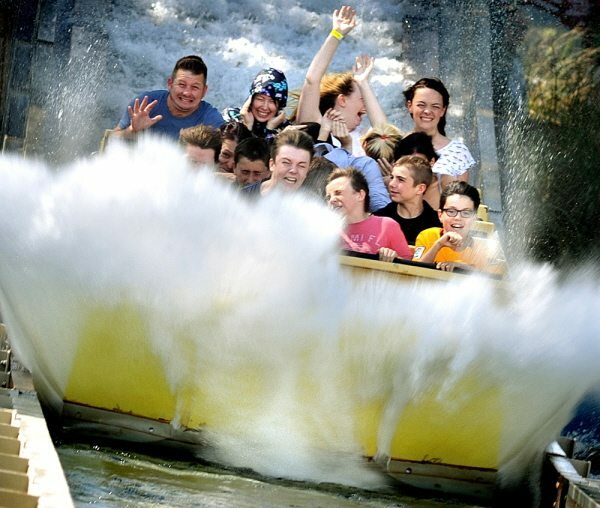 Once you have picked up Cheap Tickets for Thorpe Park then it’s worth planning ahead to make the most from your visit. Follow our Digipass guide below packed with top tips to help you make the most of this ride photography option. SAVE MORE THAN 40% off walk up prices when you book in advance with Thorpe Park Tickets from £30pp! i. Digipass 1 day; this one day Digipass offers you a 1 day unlimited digital download from the park via a wristband, (currently priced at £30). This pass is ideal for those planning to visit the park on only 1 day this season but want to a few photographic souvenirs of their the day. iii. Digipass 2 day upgrade; provides you with the option of upgrading your wristband to include a second consecutive day of unlimited digital upgrades at the park, (currently priced at £40). This pass works best for those on a short break or have purchased a 2 Day Thorpe Park ticket. iii. Digipass Merlin Pass; provides you with unlimited digital download at all 4 Merlin Theme Parks, (Thorpe Park, Chessington World of Adventures, Alton Towers & LEGOLAND Windsor), throughout the season, (currently priced at £50). This pass is ideal for Thorpe Park Passholder/Merlin Passholders that plan to visit on a semi-regular basis. 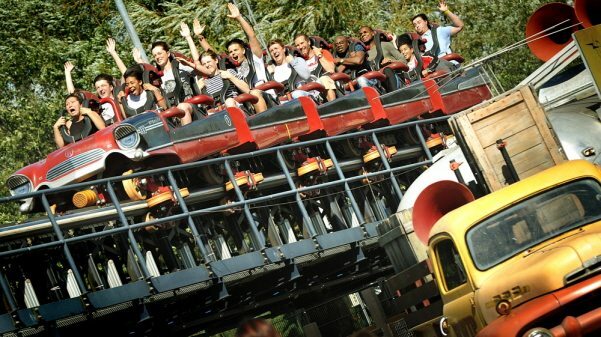 Follow our guide to THORPE PARK TICKETS & VOUCHERS including 2 for 1’s, online promotions and even free ticket offers. 1. For those opting for a 1/2 day Digipass, you will be presented with wristband that you present to the staff at the ride photo booth. Your photo will then be added to your digital download collection. 2. If you are looking to purchase a Digipass that is valid throughout the season you will be provided with a photo pass, similar to your annual pass complete with a personal photo, that you present to the staff at the photo booth. Again your ride photo will be added to your digital download collection. 3. Your Digipass will also provide a 50% discount off any selected keyrings, magnets, photos or driving licences taken from your ride photo. 4. Whilst your Digipass will only provide you with digital downloads of your ride experience, (you cannot request downloads if are not physically present in the photo), you could swap around your ride partner each time to ensure everyone in your party is covered within the one Digpass! 5. Merlin Passholders may prefer to opt for the Digipass that covers all 4 theme parks throughout the season. If you tend to make ride photography purchases throughout the year, this could be the pass for you. 6. If you prefer, there are still options to purchase 2 photos, keyrings & magnets for just £15 if you prefer to keep your costs down. Follow our Guide to Thorpe Park packed with tips to beat the queues and more money saving ideas to help you get the most from your visit. 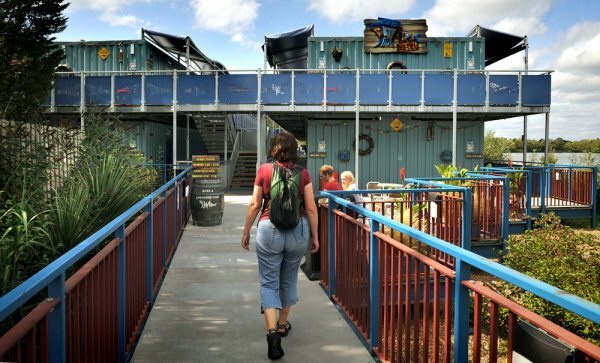 This entry was posted on Monday, February 5th, 2018 at 10:38 am	and is filed under South East, Thorpe Park. You can follow any responses to this entry through the RSS 2.0 feed. You can skip to the end and leave a response. Pinging is currently not allowed. « Thorpe Park; Derren Brown’s Ghost Train – Rise Of The Demon! Hi Nicola, Unfortunately the old photo pass is no longer available at Thorpe Park and has been replaced by the DigiPass. You can purchase a DigiPass on the day at Thorpe Park, (just make your way to a ride photo booth at the start of your day). Alternatively you can purchase a DigiPass online when purchasing tickets – just look for the ‘extras’ tab as you make your way through the online transaction. Hi Ayaya, unfortunately there isn’t a photographic souvenir for your iphone 4 cover at Thorpe Park:( There is a keyring option that you can purchase as a single item, (around £10 I think). Passholders can gain a 20% discount off this single price or you can purchase as part of a Photo Pass that offers 4 separate items, (photos, magnets or keyrings) for £25 – a photo pass lasts all season should you wish to spread out your purchases. Enjoy your day at Thorpe Park. How do I get one of these passes I can’t find anything on the website ? Hi Caitlin, you can pick up the Ultimate Thrill Combo at the park on the day of your visit. You can purchase this photo pass at any of the ride photo booths around the park or from the photo services unit within the dome, (on the right hand side as you enter the dome from the entrance). I have been to thorpe park on Saturday the 6th Sept 2014. Actually due to running out of time we forgot to buy our dvd at the kiosk desk outside swarm ride when we went to shop at exit they told us that we have to buy it there. Our bus was running out of time and so i am contacting you if you can please organise the way i can buy my DVD ? Hi Hashim, I do not think it is possible to purchase your ride DVD online:( However, it would be worth contacting Thorpe Park directly, (we are independent of all visitor attractions), to double check this just in case there is a way to order after your visit. It would be great if you could let us know if you are successful so we can pass this information on to our readers. A round up of the latest 2 for 1 vouchers, online promotions and even free ticket offers for Thorpe Park.